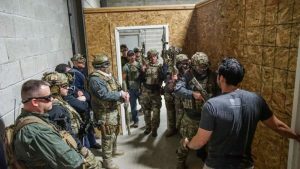 One of my first ever airsoft events was a training day. I didn’t even get in any trigger time. 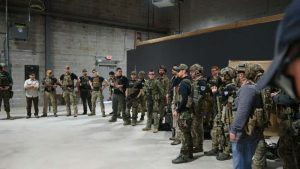 It was held in Tolland MA at the once famous “Tolcom” airsoft field. It was called Young Guns II held back in April of 2006. At the time, It was a basic run-through of moving in buddy teams and conducting a squad size advance on a line as well as a left or right peel. It was a very basic day and didn’t even involve any shooting. 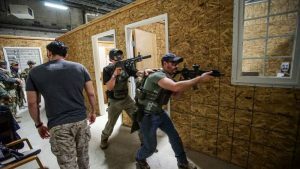 It did however get me hooked on the more tactical style of play that airsoft offers rather than running and gunning or speed soft. Fast forward almost 11 years and there I was in New Jersey for another training day. 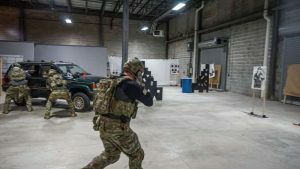 The Event being run by Obsidian Milsim at RTSP in New Jersey was offering some CQC or “close quarters combat” type training. 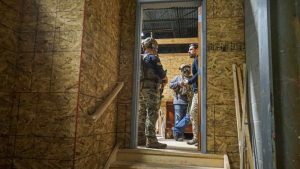 The 8-hour day would consist of moving drills and room clearing using the RTSP indoor training facility. 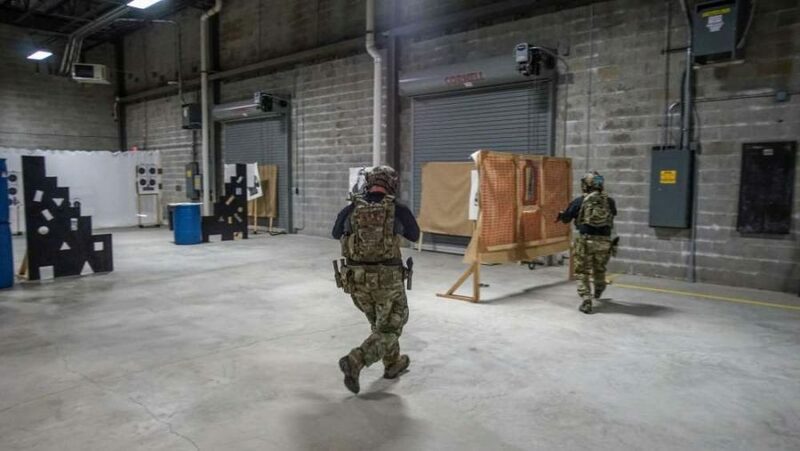 This is a gun range, store and training area for real firearms, not airsof,t so we were pretty fortunate to be able to use it. We had two main areas that we were using. The first was a large area for bounding and team movement and the second area was a mockup of a small home with many different angles to try and work. 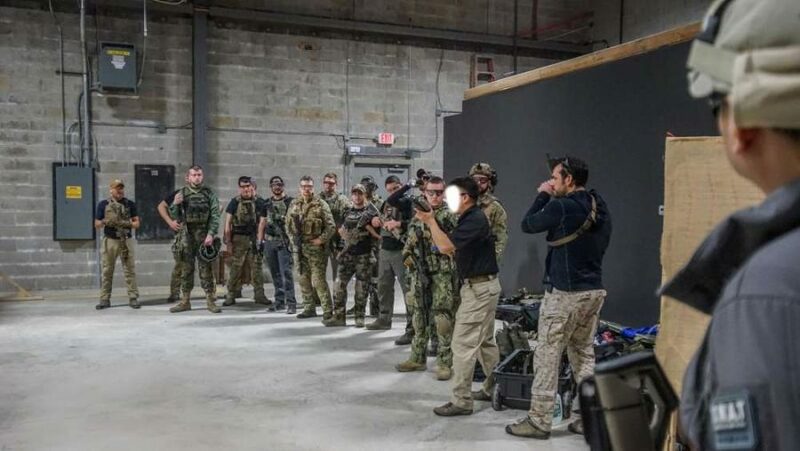 While there were several people on staff that day for Obsidian most of the focus was put onto two instructors. “Johnny” and “Y”. 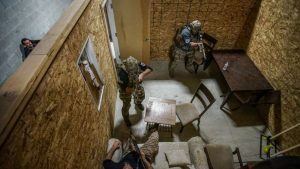 Johnny is a retired Navy seal with extensive combat experience and he offered a lot of practical advice from his training. Y has also been a long-time participant in airsoft. I have bumped into him several times over the past few years at many large games. Each instructor brought with them a unique background and outlook on CQC but both could work well together because their basic principles aligned with each other. The first part of training of the day paired us up with Y. In this portion, we would be working on our movement both individually and as a team. We would also put a lot of emphasis on our communication. We started off individually moving to a car, stopping at the hood, and scanning over the top. Y instructed us on how to give as small of a profile as possible. After checking over the hood we would move to the rear of the car and continue covering the side. Now another person would give the “Moving” Command followed by our “Move” response giving permission to move to place at the head of the car. We would continue doing so and cycling out. The main takeaway of this drill was to A: Use cover effectively and B: Make sure your teammates understand your plan of movement before you execute. Next, we scaled the exercise up to a larger area and now we began using fireteams or groups of 3-4. In doing this we left the commands to the two fireteam leaders organizing each group of people. One group would give out the call of “Contact” and move to the vehicle to provide a base of fire. Group two would then give the “Moving” call and would wait for the command to “Move” and bound past the car to the next piece of cover. The two teams would than alternate each other while moving to a doorway as the destination. A simple enough procedure but something that can make your approach onto a target that much more effective. At the end of every major drill we would analyze one another to help find weak points in our implementation of the tactics. This helps you recognize things that you may not know you had done wrong and get you to think a bit more critically about what you are doing. The second portion of instruction would take us into the mock home. In this area, we would be working with our other instructor Johnny. He started our instruction with a basic demonstration of how we should enter a room in a two-man team. He demonstrated the both open and closed doors. 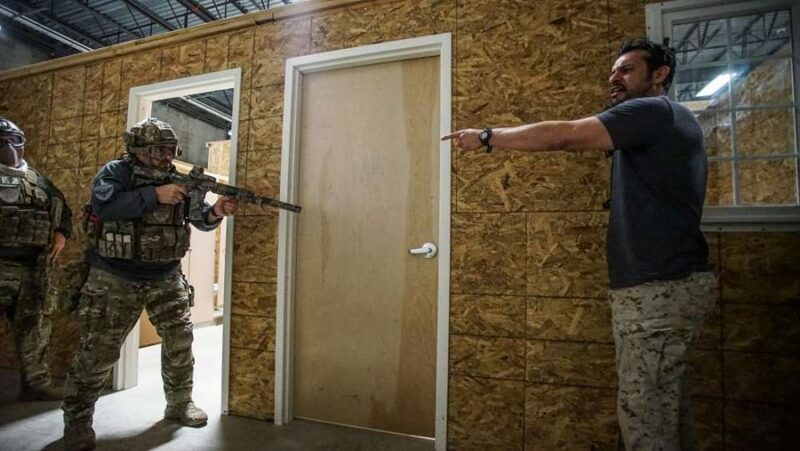 A thing that he hit on a lot that I hadn’t seen a lot in other CQB or CQC classes was the idea of self-preservation. Now I know many of you are wonder what I mean. I am used to stacking outside of a room and then everyone pouring into the room. This method however would use the first man in the stack to cut the pie and begin clearing much of the room before entering. It was all about limiting your exposure and doing as much work outside of the room before entering. Anyone who has played in a tight environment such as this could easily understand the importance of this. We did a lot of work in 2 and 4 man teams. Typically, only using two people to enter a room. The drills would cover rooms with open and closed doors as well as hallways with multiple rooms. 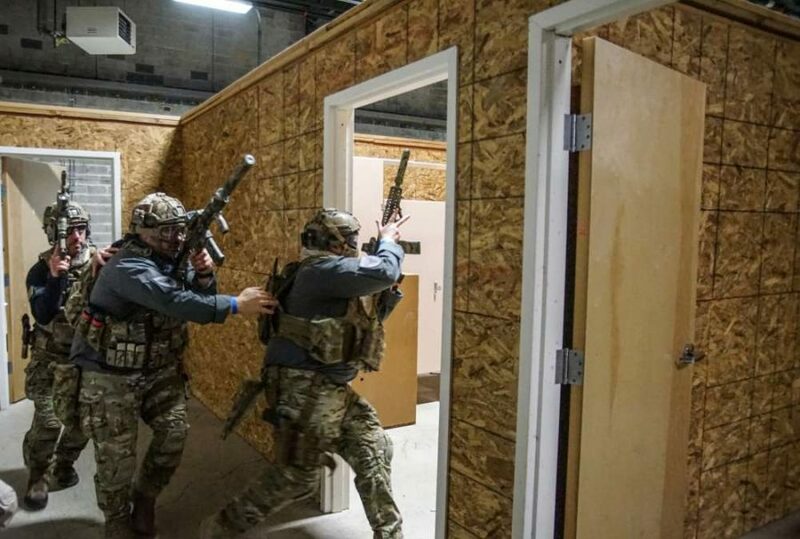 In the situations involving a hallway with two doors the first two-man team would communicate they were taking the first room and the second two man team would flow past and into the second room. Another crucial point Johnny would hit on is the speed at which you would move. If there were no contacts than our movement was slow and quiet but if there was contact or enemy the speed would increase as well as intensity. Not in a way that would allow us to be sloppy but to get in with violence of action to take the area room(s). After running drills in teams of 2,4, and 6 people on rooms of all shapes and sizes we took a short lunch break in one of the large classrooms. It was nice to take a break in a clean environment for lunch rather than other places I have visited were you would be stuck outside or at your car. On our lunch break Pizza was ordered and Dan from HPA Airsoft was on site. For those not aware Dan puts out the HPA or High Powered Airsoft BBS. These are white BBs that are bios of high quality in EVERY weight you could want. They had samples as well as a giveaway for some of his BBs. I was very impressed with the consistency I was getting and would recommend everyone consider these. After Lunch we would begin the final phase of the day. 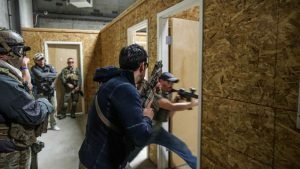 For this portion, we would use all the attendees to move to an objective and clear the building. 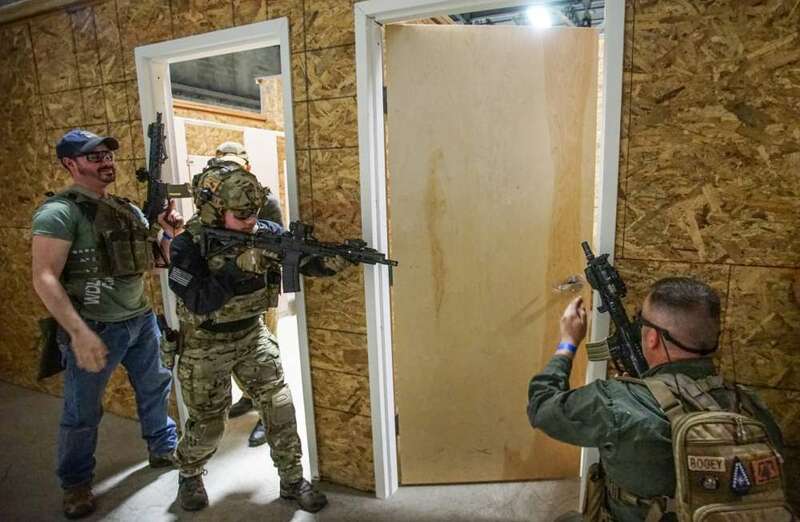 Half of the group would move to outer perimeter of the building and secure the area while the second group would enter the building to clear it and retrieve any hostages held inside by the event staff now taking the roll of OPFOR. We would take turns securing and breaching. We also practiced entering 2 teams into the home at once from different doorways that would meet in the middle. This added an extra element of difficulty as you didn’t want to have any friendly fire incidents so verbal communication was key in letting friendly forces know the area you were in. 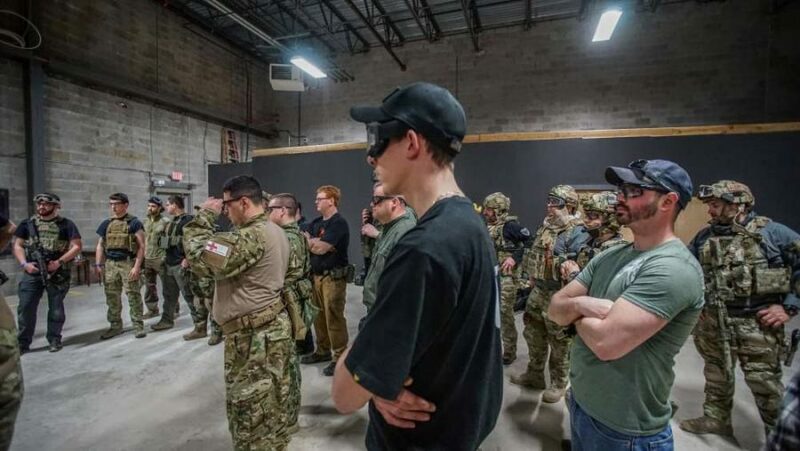 The CQC conditioning course that Obsidian Milsim had put on was top notch. It had been a while since I attended a course with as many great takeaways as this one. All the material that we had gone over was presented in a very clear manor and the instructors took their time to be sure to explain things in a way that everyone could understand. It was a lot of fun and a great honor to be taught these tactics by two professionals and the rest of the Obsidian staff. Not only do they run training style events but also Keep an eye out for more of their events coming up through 2017 in the North East.